In the three years I’ve been running JMG PR, I’ve fielded countless questions from PR hopefuls looking to make their mark. There’s the natural curiosity of how to get started, what skills are needed, what to expect in this business, to how I got my start. I knew PR was the right career for me even before college. In high school I worked on our senior Fashion show, handling elements similar to the relationships managed in PR and that experience opened up my eyes and made me excited about what I was doing. From then on no other subject or topic got me as excited as PR did. 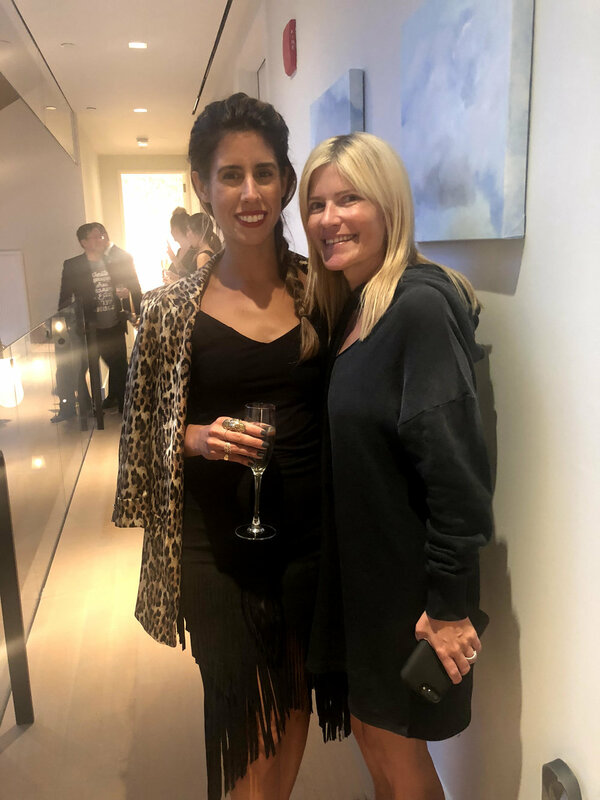 I was also a huge fan of Lizzie Grubman’s show on MTV called, “PoweR Girls.” I recently met Lizzie at an event and was able to share with her the fact that she was the reason I pursued PR. That’s why I love when students seek me out for advice; it’s so important to have someone you can look towards as an inspiration. On that note, I’ve taken the liberty to share with all of you my advice on some of the recent questions that came through on our Instagram page. What advice would you give a college senior who wants to work in PR after graduating? I strongly suggest doing at least one internship, if not more, starting sophomore year if possible. If not, shoot for junior and senior year, especially your last semester before you graduate. Many companies look to hire from within so create connections while you’re there. Internships can lead to employment; I was hired two weeks after graduation at the boutique firm I was interning at my last semester of school. It’s also a good idea to follow PR firms on social media along with the people who run the company or department you’re interested in. Familiarize yourself with everything about them; being a fan is just one of the attributes an employer wants from an employee. And engage with them either by commenting on photos or engaging on a blog post. Just remember, proof read what you write and make sure your grammar is correct! When is the best time to apply for an entry level position? I’d say a month or two before graduation; let your supervisor know you’re graduating in the event a job opens up you’ll be fresh on their mind. It’s also a good idea to do an internship at an agency that handles a specific sector of PR. So for instance, if you love fashion, make it a priority to intern at a company that focuses heavily on fashion PR. As an agency, how are you unique with each of your clients? We make our clients feel like they’re our ONLY client. We build a team around the expertise and needs of that particular client and since each action plan is individualized and unique no two strategies are identical. What’s one of the biggest challenges with PR? The biggest challenge I’ve seen to date is the media landscape; it’s always evolving. With fewer members on editorial teams and more publicists in the field, the competition has increased in gaining more press for our clients. As a result, our job becomes a bit more difficult but I love a great challenge! What tips would you give a person who wants to work in Entertainment? Cassie, one of JMGPR’s current interns! Find and then focus on the agencies that are heavy in that area. Stay on top of pop culture and know everything that’s going on. Follow the companies you’re most interested in working for and make your presence known by interacting with them. How do I get my foot in the door if I’m looking to change careers? The most important thing when it comes to PR is that you have experience in PR. And that’s difficult to do, especially coming from a different career, and no internship experience to back you up. My best advice would be to try and find an internship so you can get that on your resume. While not all companies offer post-grad internship opportunities, there are some that do. Next, look to freelance as an assistant at a smaller boutique firm; offer your help whenever needed and be accessible. Whether assisting at events in the evenings, or on weekends, do whatever you can to get your foot in the door. No one likes working for free but in the long run you will be thankful that you did. JMG PR is always looking for talented interns to come onboard and be a part of our team. Email us at office@jmgpr.com if you are interested in learning more. Check out JMG PR's CEO Jenna Guarneri interview with Steve Blakeman as featured on Medium online. Several months ago I wrote an article called “Female Entrepreneurs Are the Next Wave of Business Success” on Inc, to coincide with International Women's Day which talked about the World Economic Forum prediction that gender parity in business is still an unbelievable 217 years away. This statistic is borne out in disciplines such as Public Relations — according to the Bureau of Labor Statistics women make up 61.3 percent of the Public Relations industry yet only 30% of all global Public Relations agencies are run by women. So why is it that women are not rising through the ranks to take on the leadership roles in PR? As we have discussed gender parity is 217 years away International Women’s Day in March this year aimed to raise awareness of this inequality. What steps have you taken personally to try and bridge the delta? I interviewed 6 senior female business leaders including Leigh Thomas from Facebook earlier this year. She was described by one of her colleagues as being “cool, tough and fun.” What 3 words do you think your closest colleagues would use to describe you and why? Part of this year’s International Women’s Day campaign was focused on the hashtag #BeBoldForChange — how do you feel that you have been bold in your career and how has that led to some form of change for yourself or other women? What was the stimulus for you to become such a young entrepreneur and launch your own PR business at the age of 27? “Entrepreneurialism was not something I initially ever thought of. I always knew I wanted to be in public relations, but never did I think about the possibility of being a business owner. At 27 years old, I was at a crossroads in my career where I was looking to leave my old firm to take the next step in my career and while analysing my next move, I realised I personally wanted to set-up something that would become a part of my legacy. Looking back, I now realise my schooling played a huge part in my positive outlook towards the decision. Business school taught me a work ethic that ignited an entrepreneurial spirit in me. I made the decision to start my own business and acted swiftly on it. Thanks to Jenna for agreeing to do this interview — if you have any questions for Jenna or myself then please ask them in the comments section and we will try to answer them all. Anyone who works in PR can attest to the fact that it’s fast-paced, competitive, at times stressful, and not for the faint of heart. Yet it’s a business those in it can’t get enough of, including myself. I can’t imagine being a part of any other profession; it’s an ever evolving industry that promises to never leave you bored, instead, it leaves you feeling energized, especially when a project you've been working on comes together. I’m sure it’s the same for other professionals working in a client driven environment; results equal happy clients and that lets me know I’ve not only done my job, I’ve done it well. As I approach my third year running JMG PR, I can’t help but reflect on some of the reasons why I LOVE being a publicist. Because PR is a business that requires you to work amongst a variety of people and personalities, it’s been a blessing for someone like myself who would most likely be described by those know me as an, “extroverted introvert.” Being a part of this business has given me the tools to learn how to be an extrovert and step out of my comfort zone and as a result, meet some really cool and interesting people. The connections you create help build your network and prove invaluable as time goes on. The world of PR is definitely a small one so it’s always important to be good to everyone you meet! In my line of work I am exposed to many different topics which allows me to learn and expand my knowledge. I’m constantly “in the know” and plugged in to pop culture and timely news. I thank PR for giving me the tools to be able to hold a conversation on any topic; it’s extremely helpful, and honestly, invaluable when it comes to networking and business. I work specifically with a lot of founders and those who are in the early stages of getting their company off the ground. I find it extremely rewarding to help my clients build their dream, and in the process allow me to be a part of that growth. The work that we do as publicists varies daily so rarely are any two days alike. I love knowing when I arrive at the office that my morning most likely will be different than the one before. I’m not tied to my desk, just the opposite in fact. There are days when I’m in client meetings outside of the office for most of the day, or on set with a client as we introduce their brand to audiences. Other days I’m in the office crafting pitches, strategizing with a new company, writing press releases, working with various magazine editors on coverage, or planning an event for a client with my team. The tasks are expansive and ever changing. The one constant that never changes is the need for creativity and I love that no matter what it is I’m working on, I’m going to be challenged. The industry is constantly evolving which in turn requires me to do the same. Not only do I have the opportunity to work with and watch my clients build their dream, I run a team consisting of young PR professionals who are doing the same, laying the foundation for their future and I have a front row seat. Being at the helm of JMG PR, I not only get to work with the best, I have the opportunity to give young professionals a channel for learning and growing, and hopefully they too will fall in love with PR! 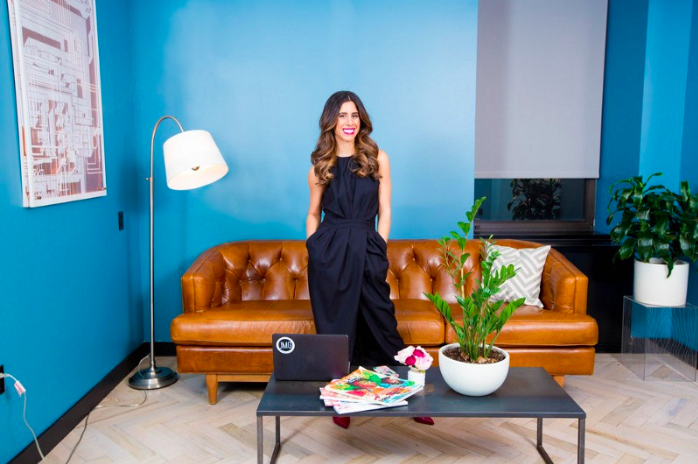 As an outsider looking in, the thought of what life as a PR professional entails is mostly based off of what the media portrays, that of glitz and glamour, and little, if at all, does it spotlight the tedious work that goes on behind the scenes to help grow and elevate a client’s brand. I sought out a career in PR because of my love of people and the interaction this business allows me to have with them. 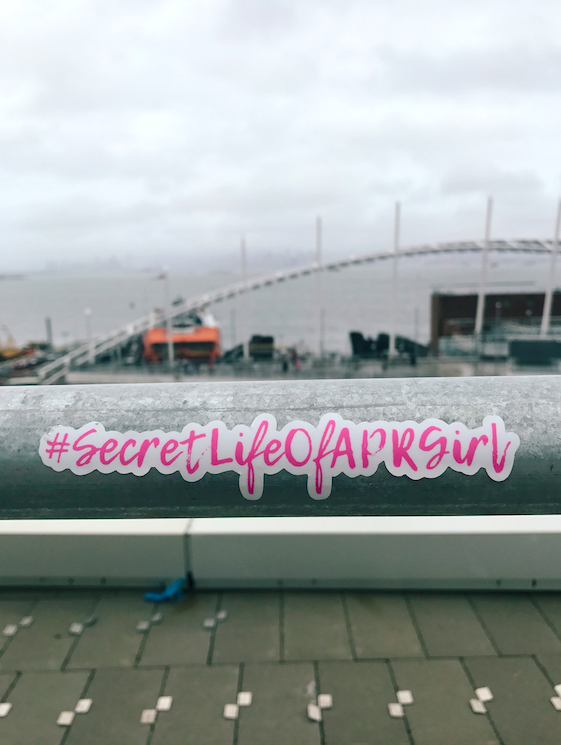 A life in PR is all about being in the know, staying on top of the latest buzz while ahead of the curve, and of course, making things happen. That’s why when I hear these myths and misconceptions about PR, and I've heard quite a few over the course of my career, I’m taken aback over just how wrong some people are about what it is we do. So I’m sharing a few of the most common ones I come across almost on a daily basis. Yes your name is out there, but if it’s tied to an unflattering or negative story your PR team is going to be working around the clock to rebuild your name or your brand. What’s surprising is the amount of money spent on advertising and marketing services, yet people expect Public Relations to be cheap. Our goal is to get you more bang for your buck verses purchasing a flat ad in a media outlet that might charge you upwards of $100,000. Not everyone is great at all things, including PR! In order to be successful in this business it requires a certain sense of business savvy, and a whole host of other talents like organizational skills, creativity, and being one step ahead of everyone else in your thinking. And there’s no rest for the weary when it come to PR. Sure we know how to host a good event, but we should since it’s just one of the many parts to what we do. And while they look like fun, and they are if you’re a guest, but what you don’t see is the countless hours of work, research, planning, and effort that goes into pulling these off. It has its moments in the spotlight but if you’re hoping to become the next Olivia Pope you might want to rethink your career choice. That’s Hollywood’s version of PR, not mine. If only our days ended that early! Most days I’m at my office earlier than 9am and stay much later than 5pm, especially when my morning and afternoons are filled with client meetings. And those glamorous events we’re working on, those happen in the evening and on weekends so technically the world of PR is as many days and hours needed to get the job done! Another common misconception people have when they're unclear on what it is exactly that we do. It’s true that PR makes up a piece of the marketing and advertising pie but we’re not in the business of driving sales and revenue. Our goal is to build a company or an individual’s profile and manage their reputation. PR generates a buzz which in turn engages the public. We each have different strategies and tactics in the way in which we accomplish those goals. Its every clients dream, heck even mine, to land on a show like say, Ellen, but in reality the guests you see are mainly A-list celebrities and kids doing really cool things. That’s not to say it will never happen; our client Frey had their product featured on her show back in 2016. But just because you hire PR doesn't mean you’ll automatically be on a national TV show tomorrow. It takes time to land big placements, especially if you don’t have a pre-existing foundation of media coverage.